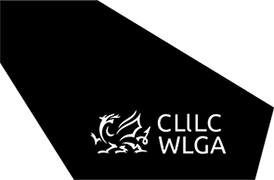 The Welsh Local Government Association (WLGA) represents the interests of local government and promotes local democracy in Wales. Its primary purposes are to promote better local government, to promote its reputation and to support authorities in the development of policies and priorities which will improve public services and democracy. The WLGA is a politically led cross party organisation that seeks to give local government a strong voice at a national level. The Association is a membership organisation that represents all 22 local authorities in Wales, the 3 fire and rescue authorities and the 3 national park authorities are associate members. The WLGA believes that services are best provided within a democratic framework of local accountability and that the people who use public services should have as much of a say in the way they are organised, managed and funded as possible. Local government is seen as being the tier of government closest to service users and best able to respond to their needs. It is recognised that it is the role of central government to set the strategy for public services nationally but that it is down to local government to deliver services based on local circumstances. Originally established in 1996 primarily as a policy development and representative body, the WLGA has since developed into an organisation that also leads on improvement and development, procurement, employment issues and hosts a range of partner bodies supporting local government.